Kanze Dena has been promoted to become the acting Head of Presidential Strategic Communication Unit in place of Manoah Esipisu who has been appointed an ambassador. Sarah Serem, Lieutenant General Samuel Thuita, Mr Francis Muhorohave also been appointed ambassadors. Others include George Ochillo Ayacko, Amb Peter Nicholas Oginga Ogego, John Kimani Ondieki, Chris Karumba Mburu and Benjamin Langat, awaiting approval by parliament. In Cabinet, CS Aden Mohammed has been moved to the Ministry of East Africa Community and Regional Development, while EAC CS, Peter Munya replaces Aden at the Industry Trade and Corporatives Ministry. Professor Collette Leesuda has been moved to the Ministry of Education as Chief Administrative Secretary and Principal Secretary in charge of State Department for University Education. Hon. Simon Kachapin has been moved to the Ministry of Energy as Chief Administrative Secretary. In Principal Secretaries, Charles Sunkuli has been moved to state department of Devolution while PS Nelson Marwa has been moved to Social Protection, Pension and Senior citizen affairs State department. PS Zainab Abdalla Hussein moves to state department for correctional services, Alfred Cheruiyot moves to state department of post training and skills development, PS Susan Muchache has moved to the ministry of environment and forestry and Mr Joe Okudo has been reappointed as Principal Secretary for the Tourism State department. 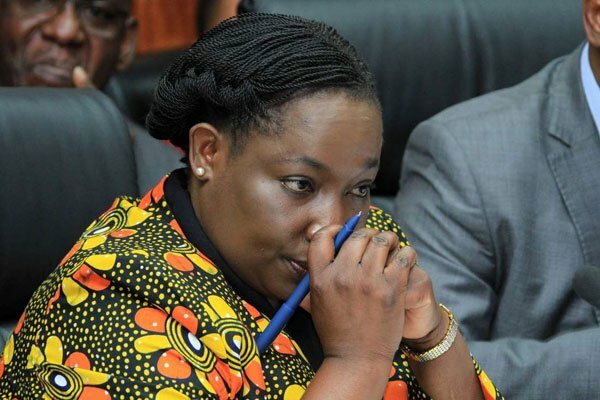 Dr Margaret W Mwakina becomes PS for wildlife state department while Dr Ibrahim M. Mohammed has been reappointed PS in charge of State Department of Labour. Mrs Fatuma Hirsi has been reappointed as PS for broadcasting and Telecommunication state department whereas Professor Micheni Japheth Ntiba moves to be PS for Fisheries , Agriculture and the Blue Economy state department. Esther Koimett to been nominated the PS transport state department while Prof Paul Maringa takes over Public Works State Department as the PS.